When Apple execs took the stage on Monday, virtually everyone expected them to focus on the soon-to-be-released Apple Watch. That, they did. The Watch, we now know, arrives in retail on April 24, and it did indeed get most of the attention. But it wasn't the only thing to catch my eye. These are the five most notable announcements from Apple's Spring Forward event. 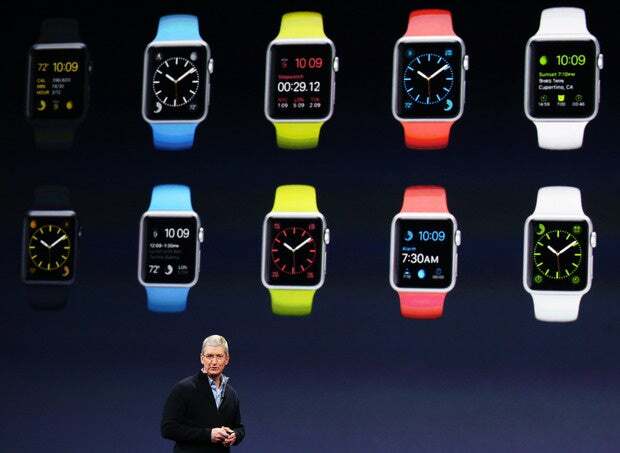 The main star was the Watch, Apple's first real push into wearable technology. Two years ago, when the Watch was still a rumor, I was skeptical it could succeed. But after the company laid out its plans and its vision last fall, my concerns were answered. It will do well. Yesterday's event finally added most of the final details such as pricing and release date. And it gave Apple a chance to do something it rarely does: Showcase a new device twice. Apple Watch was the main reason for Apple's Spring Forward event, but the company offered much more than a Watch update. 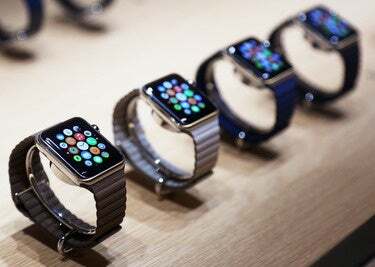 Apple Watch will arrive next month in three collections, two sizes, and several price ranges, depending on material and accompanying band. The anodized aluminum and Ion-X glass Sports model comes with a fluoroelastomer band, is available in Space Gray or Silver, and costs $349/$399 for the 38mm and 42mm devices, respectively. The higher-end stainless steel model -- simply called Watch -- also comes in two sizes, two colors (polished stainless steel and space black), and with a display that's laminated in scratch-resistant sapphire. Starting prices are $549/$599 for the 38mm and 42mm devices, respectively, and that includes a black or white Sport Band. The prices in that line go all the way up to $1,099 for the 42mm Space Black model with Space Black Stainless Steel Link bracelet. The top line is the Watch Edition, which comes in 38mm and 42mm sizes, two colors and offers a collection of bands to choose from. Edition models feature sapphire crystal displays and are made of solid 18k Rose or Yellow gold. The 38mm model starts at $10,000, the 42mm models, $12,000, and prices range up to $17,000. Apple CEO Tim Cook noted that Edition models will be limited in supply, which makes sense, given the lofty price tags. Apple Watch arrives on April 24. Apple will sell Watch bands separately, and they'll be priced from $49 for the Sport Bands to $449 for Link Bracelet. You can also purchase 1- and 2-meter charging cables for $29 and $39, respectively. One of the more frequent areas of pre-announcement speculation involved the Watch's battery life. Apple offered more detai about what to expect: expect about an hour and a half to charge the Watch to 80% (2.5 hours for a full 100% charge) and it should last all day with mixed use. (All day on a full charge means about 18 hours.) Most users will have to charge it at night. Apple Watch is available to preorder on April 10 -- two weeks before it actually ships -- and will be available in stores for hands-on use that same day. I'll be getting one -- though I'm still vacillating on which model, Sport or the mid-level Watch. The Mac is back? It never left! Even though the Watch was the star attraction, Apple spent a lot of time on the newly revised 12-in. MacBook. The death of the Mac in this mobile age has been exaggerated and Apple's popular laptop line clearly continues to evolve. Philip Schiller, Apple's head of marketing, unveiled several updates, including new processors for the MacBook Air and the 13-in. MacBook Pro. The latest 13-in. 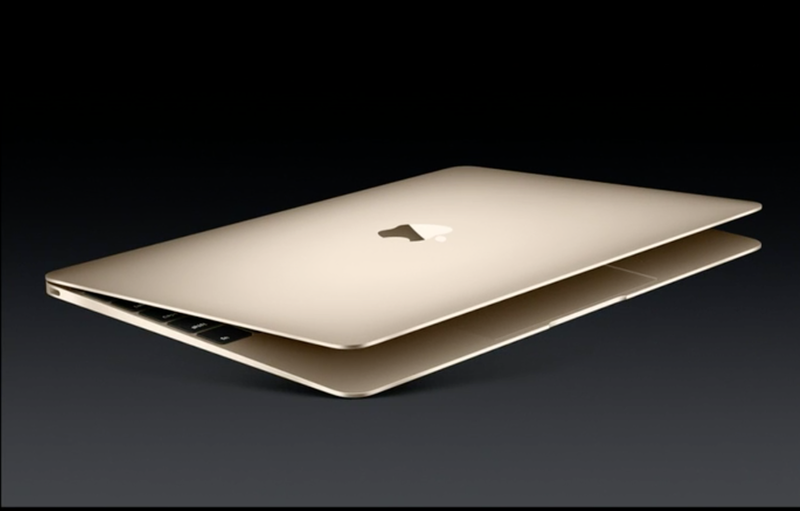 MacBook Pro also gets the updated "Force Touch" trackpad. The real news, however, is the brand new MacBook. 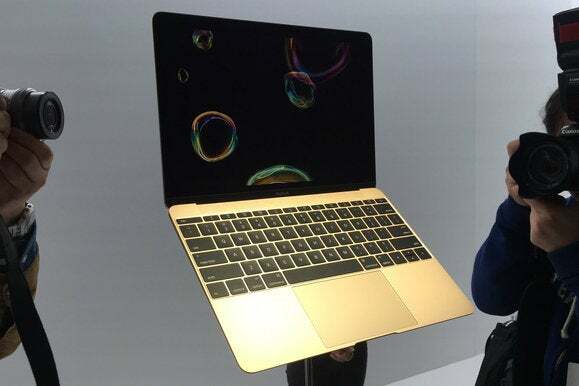 Apple's new MacBook features a thinner keyboard with a single-assembly butterfly mechanism, custom battery shapes for maximum efficiency (up to nine hours on a charge), and the aforementioned Force-touch and haptic feedback-enabled Trackpad. For the first time, it will come in Space Gray-, Silver- and Gold-colored enclosures, and they'll ship on April 24. Prices start at $1299 for the model with 256GB of storage and $1,599 for twice that amount of storage and a slightly faster chip. Both models come with 8GB of RAM, and at least according to Apple's website, neither is upgradeable to more. Like the Watch, I plan to review the MacBook when it is officially released to get a better feel for the design and how well the new trackpad works. Beyond the hardware announcements, it was astonishing to hear Cook announce that Apple now has 453 retail locations in 16 countries -- and six of the 21 stores in China opened just within the last two months. He noted that this allowed Apple to reach 120 million customers in its retail stores in just the last quarter. With this potential audience, along with the fact that Apple users are likely to spend their money, it's no wonder the company can attract exclusive deals like the one announced yesterday by HBO. That HBO deal marks the first time subscribers can get the channel's programming without having a cable subscription. For $14.99 a month, Apple device owners -- and, for the next three months, only Apple device owners -- can access HBO Now and more than 2,000 titles, including Game of Thrones and The Sopranos. Early subscribers get the first month free. Apple's global reach is also helping it push another recent initiative, Apple Pay. Apple's answer to the digital wallet -- launched with support from six banks -- is now supported by 2,500 card-issuing banks and 700,000 locations across the U.S., including vending machines. Considering the rival digital wallet systems available on the market, this is significant growth. The speed with which Apple Pay has gained ground has obviously caught Samsung's attention. Last June, Apple announced HealthKit, a repository for third-party health and fitness apps to consolidate collected data. While there was speculation about Apple hiring all sorts of medical experts, it was easy to dismiss what those hires could do for the health of Apple customers. I've written about my own forays into health and fitness tracking, but others have made it even clearer just how influential the iPhone can be as a health and fitness hub. At yesterday's event, Apple built on its commitment to health by introducing ResearchKit, a foundation that developers can use to build apps for medical research. Apple is using ResearchKit to tackle problems like recruiting study participants, collecting data and tracking the frequency with which data is collected. (Apple engineers are already working with a dozen institutes and the company demonstrated several apps at yesterday's event, including apps that help research on Parkinson's Disease, diabetes, cardiovascular problems, asthma and breast cancer. ResearchKit relies on the iPhone's built-in sensors and storage to track, store and transmit specific data, all of which is kept private from Apple; the apps are opt-in and the information they generate is only available to the user and medical staff. While each person's results are private, they're aggregated with other users' submissions, giving researchers a larger sample size than they might otherwise have. Another bonus: Patients can see their own data and use it to make lifestyle changes that can boost their health. Since Homekit's debut in iOS 8, Apple execs haven't said much about the technology. Despite the release of a couple of dozen products promising Homekit support at this year's CES, Homekit support in the App store is lacking. The era of the IoT is here, and it behooves Apple to make its products the main hub for it all. Color me surprised that nothing was mentioned this time around. What's clear is that despite early criticism about Apple's perceived lack of innovation after the death of Steve Jobs, the company continues to steadily evolve to meet the market's changing conditions, making decisions -- and products -- that continue to shape the future of technology.